It's a beautiful morning in LA. Sun is shining. Thought I'd post one of my recent moodboards (I designed) for one of my clients album cover & packaging shoot. Here's a peek at the direction we aimed for. Concept is inspired by the Greek Goddess: "Pallas Athena." I've always found myself inspired by Greek Mythology, so this was the perfect marriage. *Note: Dawn Richard's album releases on Tuesday, October 16th! Support her amazing music and movement as there's not many artists of her caliber out there - doing what she's doing musically, sonically, and visually. 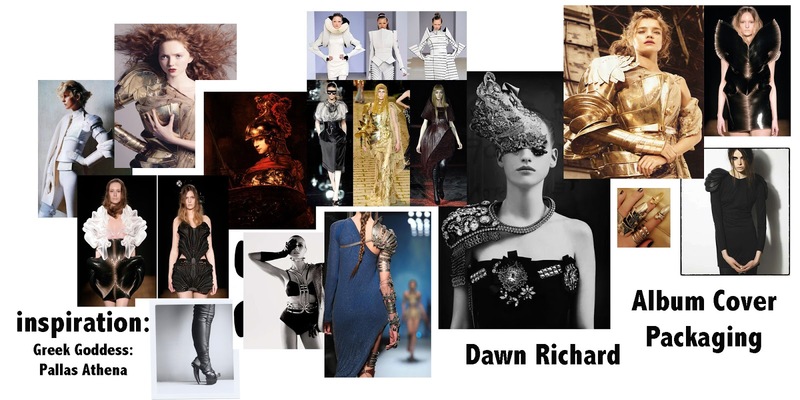 It's an absolute honor to team up with Dawn and help facilitate a vision that is both avant garde and original.